Can Mick Jagger remember the 70’s? Mick Jagger is a living legend. I’m trying to figure out who else would be in that stratosphere of legends. Obviously, Keith Richards — but do any (other) movie stars equal that level of superstardom? I rate Robert DeNiro highly, but how do actors weigh up against rock stars? That’s why when Rolling Stones front man Mick Jagger says he is going to walk a red carpet on a Friday night, you turn up. 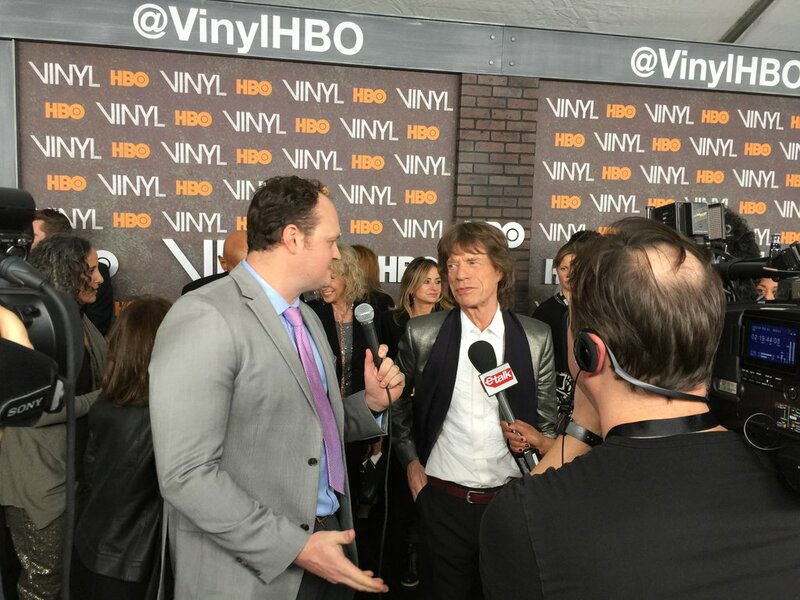 Jagger is the executive producer of HBO’s brand new series VINYL, premiering February 14th. I’ve had the privilege of seeing the first two hours and this show is wild, highlighting the transformation of the music world in the early ’70s. It showcases New York City as it comes alive with the early sounds of Hip Hop, the madness of the punk scene from the Lower East Side and even the European flavored pop of ABBA gets a mention. It was a tough week for Jagger, with the loss of his collaborator and good friend David Bowie. On top of that, his ex-wife Jerry Hall had just said “yes” to the marriage proposal from 82-year-old Australian born media mogul, Rupert Murdoch. To watch Mick walk the red carpet was fascinating. This guy is smaller, verging on petite, but never stopped moving the whole time, as if he was filled with Mexican jumping beans — and he answers everyone’s questions like a true professional. Mick then went on to explain his experience of New York City in the ’70s, noting that there were some places that you just didn’t go. And just like that, he was gone. 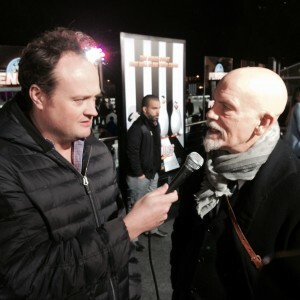 Mick turned around to chat with Harry Belafonte! Hannah Davis sparked controversy with her too much torso photo on the cover of Sports Illustrated Swimsuit edition. We catch up where figure out how she got those thumbs on the inside of her bikini bottoms and play the game, Thong, Naked or Body Paint?